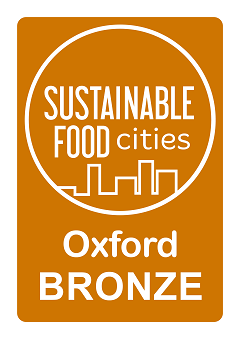 Once again, Good Food Oxford hosted the evening dinners at the Oxford Real Farming Conference, which for 2018 were held at the Vaults & Garden, Turl Street Kitchen, Thali Café and Organic Deli. Our farming representatives on the GFO Steering Group, Matt Dale and Adam Reid, were in attendance and in this blog share their responses to the conference. Nature loves balance. And Michael Gove, it seems, loves nature. 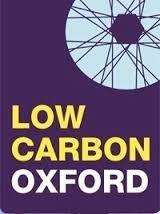 The 9th Oxford Real Farming Conference heralded a seismic shift of narrative in the politics of farming with Environment Secretary Michael Gove addressing over 900 delegates and while remaining typically evasive on detail, expressed strong support for the Real Farming movement towards agroecology and food justice. Nine years ago, when the first conference was attended by roughly 70 people, these ideas were dismissed as “not realistic” in regard to the status quo. It’s testament to the validity of our movement that the leader of DEFRA acknowledges that it’s not realistic to maintain the status quo and radical change is required. 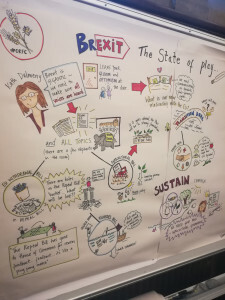 Kath Dalmeny of Sustain shepherded us through the intricacies of the Brexit strand of the conference as she inspired us to ditch all negativity and embrace the “gritty possibleism” of the pivotal year ahead. DEFRA will be more affected by Brexit than any other government department and therefore requires the upmost public scrutiny to ensure important EU legislation is not steamrollered (as Animal Sentience almost was) in the chaos that will ensue. Legislation on the brink of being lost includes the Precautionary Principle, the Habitats Directive and (gulp) the EU Charter of Fundamental Rights. 2018 may be our only opportunity to incorporate some of this critical legislation into our statute so we must remain on red alert and act fast if we notice justice is slipping. As the Animal Sentience issue showed, online petitions really can be an effective way to communicate with government. 2018 is pivotal because there are two apparently contradictory narratives running in our government. There is a powerful tension between what Michael Gove says about raising environmental and welfare standards for our own produce, whilst Trade Secretary Liam Fox is focussed on free trade deals allowing frictionless imports of chlorinated chicken, for example. How will we ensure that UK farmers are not undermined? Financially rewarding farmers for delivering “Public Good” was the recurring theme, emanating from Michael Gove’s speech. The £3billion that the UK currently receives through the CAP will no longer be used to reward landowners from simply owning land, but for maintaining clean water courses, building soil carbon, restoring biodiversity and reducing artificial inputs. Such actions save money downstream, both in the rivers and the wider environment. But how far can “Public Goods” be extended? Could farmers also be rewarded for producing more nutritious food that improves public health? This would be a much-needed move towards True Cost Accounting, by which the external effects of our food production and consumption could be reflected in the price to the consumer. In a memorable line from Adam Horovitz, poet in residence at the ORFC and author of “The Soil Never Sleeps”, we “cannot buy balance, it is only ever earned”. Though Brexit dominated many conversations, this conference was about so much more. 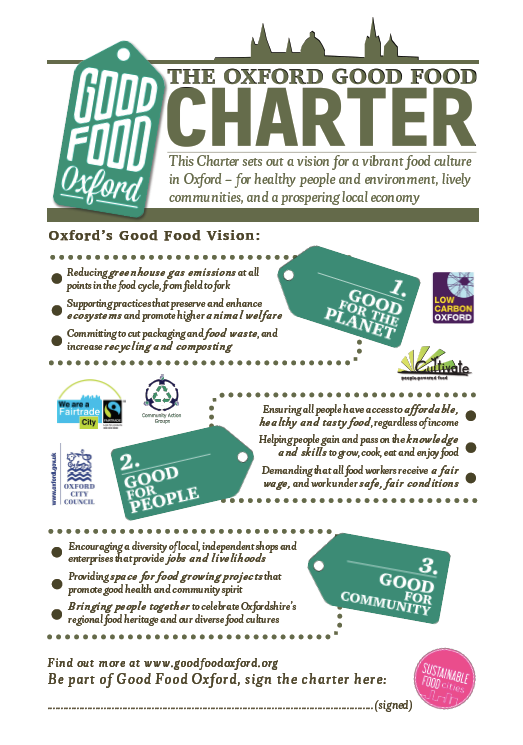 In a session involving the Kindling Trust, Ecological Land Coop, Organic Lea and RENETA, a wave of energy spread through the room as we discussed the creation of a network of incubator farms in the UK inspired by the French model. As in the UK, France has witnessed a staggering decrease in the number of active farmers with family succession being interrupted and half of all remaining farmers due to retire within 10 years. Here the French government supports newcomers to have farming trial periods on host incubator farms throughout the country with access to production facilities, technical and business support and a legal framework in which they can receive social security payments until their business is self-sufficient. Since 2007, 400 people have been through the program, 66% of which have gone on to start their own businesses, 10% have become farm workers and the remainder have changed their career path. The overwhelming success of this inspired us to come together and formulate a plan for the UK and judging from the expertise and energy in the room there is a strong possibility this could become a reality. Immediate farming practice, well served by this background of social and political concern, was heartily represented and vocalised. Diversity was at the core of many sessions, whether crop, livestock, insect, wild plant or human, from the tiniest gut bacteria to the largest tree. People working in the smallest, often simplest ways are cooperating to support each others’ success, and between sessions the conference was a hotbed of discussion between growers, farmers, and all keepers of nature. New ways of weeding were discussed, from large scale arable through chemical free electrocidal techniques to robotic systems so accurate that they would only use 1g of glyphosate per hectare. Cumbersome, soil compacting tractors could be replaced by small, light, efficient, self-driven vehicles. Clarification on heritage cereals, advice on herb cultivation, the relaunch of welfare friendly mobile abattoirs, feeding pigs and chickens with food waste again, and increasing forage and crop species diversity were also all on the menu. Some of the bigger ideas explored were around the food industry as a whole – Tim Lang gave an excellent overview of the state of employment in food and agriculture, flagging the ‘gig economy’, and ‘uberisation’ of the food industry, where control is taken from the business by the software engineer. Of the >£200Bn UK food marketplace, farming is still only receiving £9Bn. We still need more food and farming colleges, with the majority of the 3.8M food workers at or often below (if they are self-employed) minimum wage. 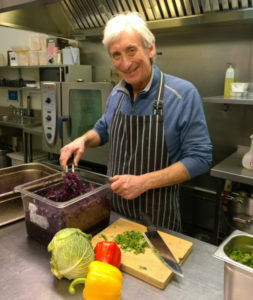 Lang also pointed out that the effects of Brexit would not wholly manifest themselves for another 30-40 years and urged the reading of his report on the effects of Brexit on Food and Farming, the only to be published so far. 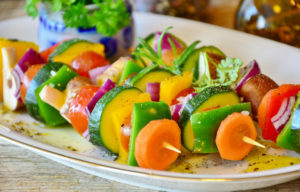 Inevitable links between food and health, both mental and physical, were considered in sessions on personal resilience, Harmony, Sanctuary, and Human ecology. The Right Hon Michael Gove also acknowledged that better working between DEFRA and the department of Health would be a good thing. The ORFC team put as much content as possible on the ORFC website, to enable those who weren’t able to attend to experience the sessions. Full slides and audio are available here, as well as films of some of the sessions.